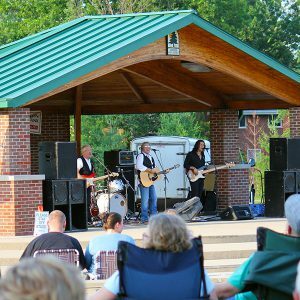 The Beech Acres Park amphitheater contains a wood shell atop a concrete base which projects sound to a grass field sloped for easy viewing. 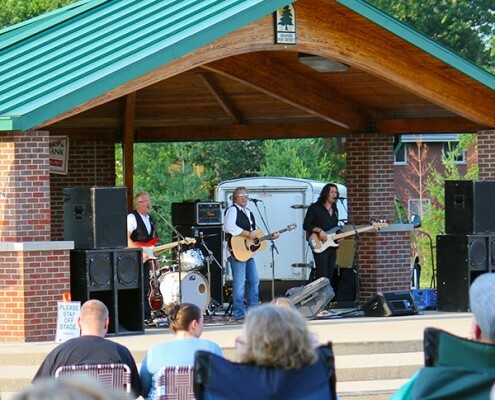 It is here that thousands enjoy the park district’s annual summer Concerts in the Park series. 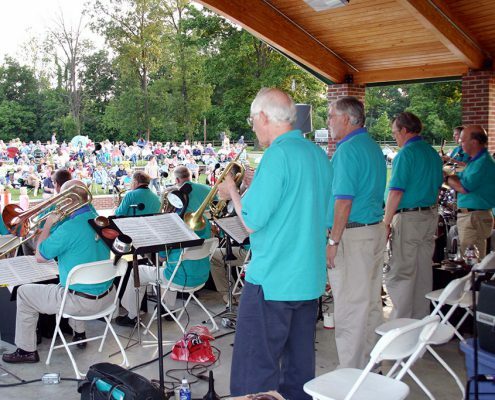 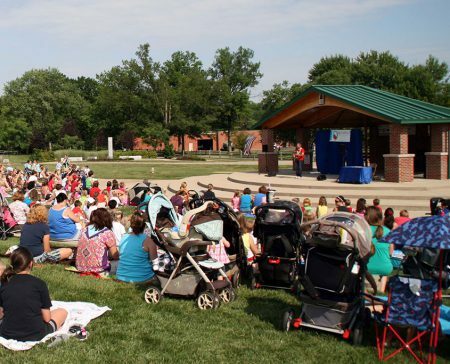 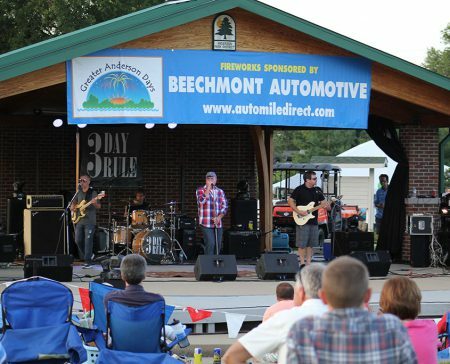 In addition, this venue provides the musical focal point for a variety of other park district programs and events such as Greater Anderson Days. 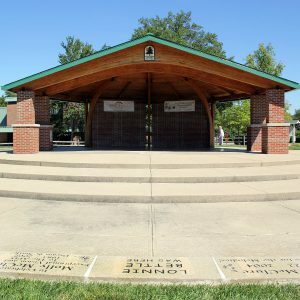 Patrons are invited to bring blankets or lawn chairs, or to take advantage of the two rows of concrete bench seating and a handful of picnic tables sprinkled throughout the area. The amphitheater is available for rental; tables and chairs are not provided. 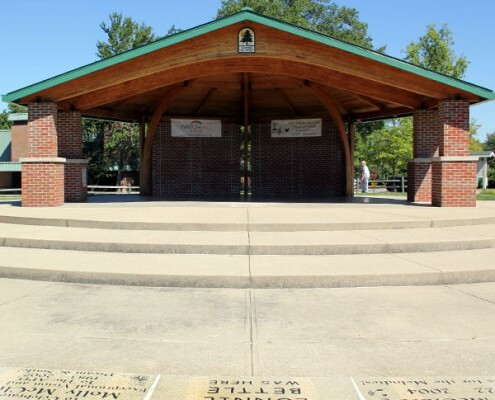 The Beech Acres Park shelter, opposite the amphitheater, is also available to rent. 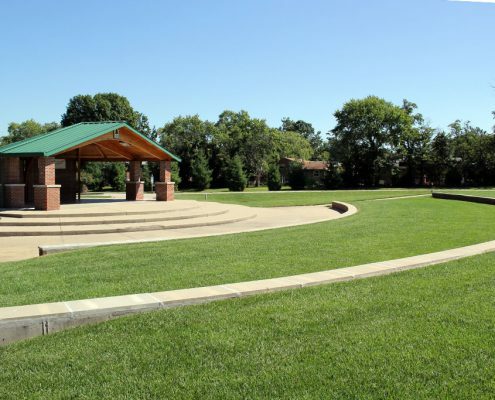 Accessible from 6915 Beechmont Ave. and 6910 Salem Road.